Prowling Wolf Statue | BUDK.com - Knives & Swords At The Lowest Prices! 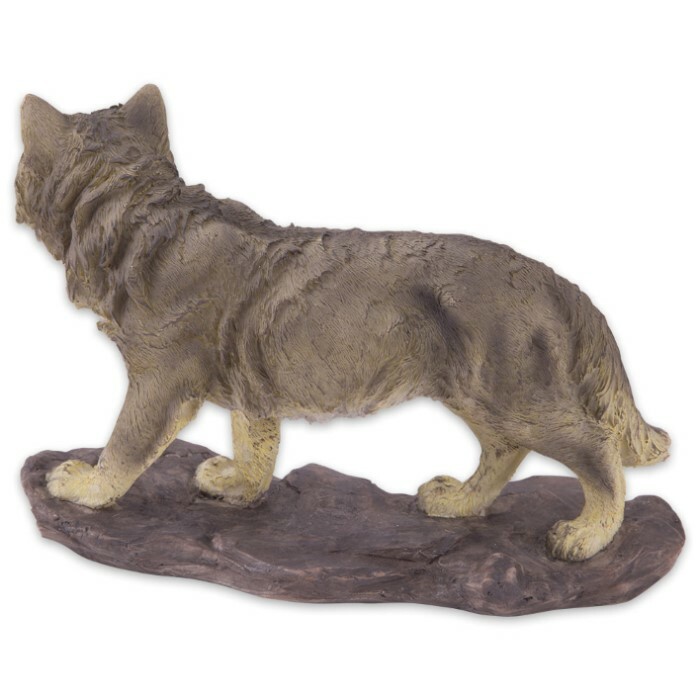 Our Prowling Wolf Statue makes a great addition to a cabin, lodge or an outdoor themed room. 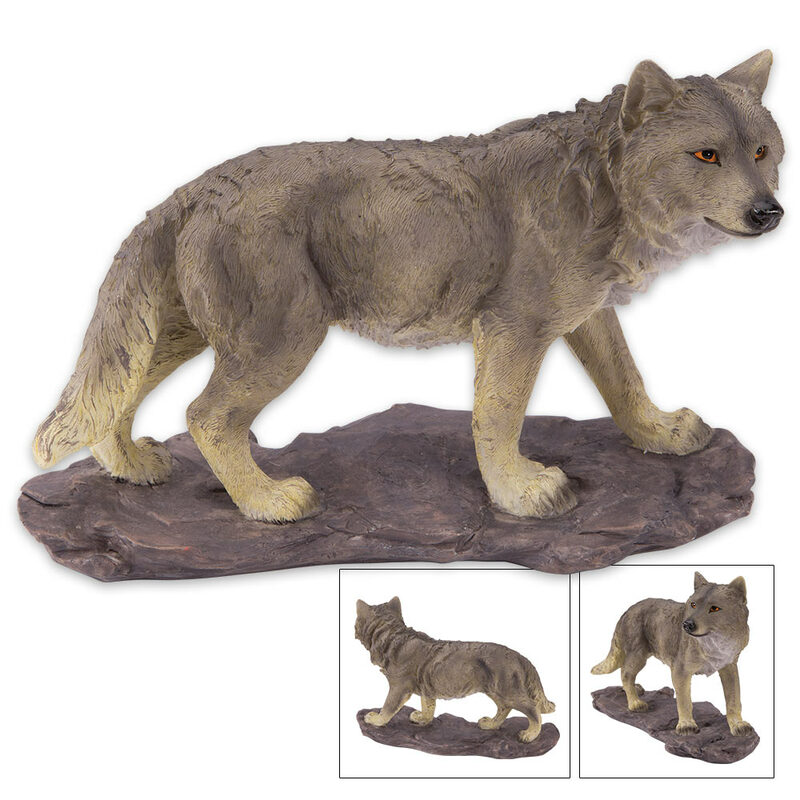 Expertly sculpted in high-quality resin, a prowling wolf with bright, orange eyes, surveys his rocky terrain. This unique piece is an intricately detailed and realistic handpainted sculpture that is a must-have for anyone who loves to collect wolf themed items. Fine quality and original design make our home decor collection stand above all others! Took a chance ordering this really cool Wolf statue . Arrived very fast and packed really nice . He now keeps those orange eyes on me at all times when I’m sleeping as he is set atop my wall shelf . My dogs keep wondering what it is ?????? Funny !! Anyway - Special $10 purchase was the absolute best $10 I ever spent !! Worth a lot more !! My son's name is Wolf-Bowen and he collects wolf related products. He loved this statuette.